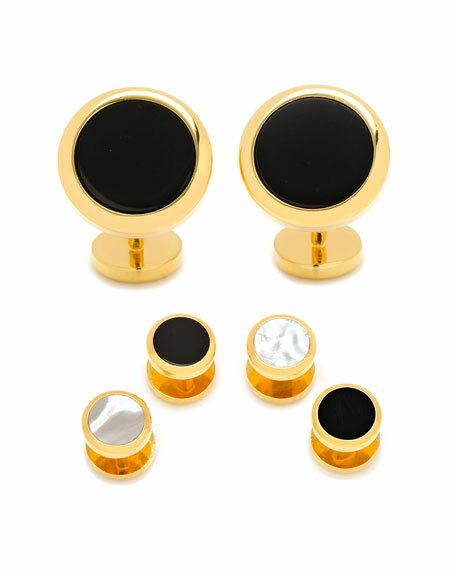 Cufflinks Inc. golden-plated cuff links and studs set. Set of two cuff links and four shirt studs. Beveled cuffs with onyx inlays; fixed backing with mother-of-pearl inlays. 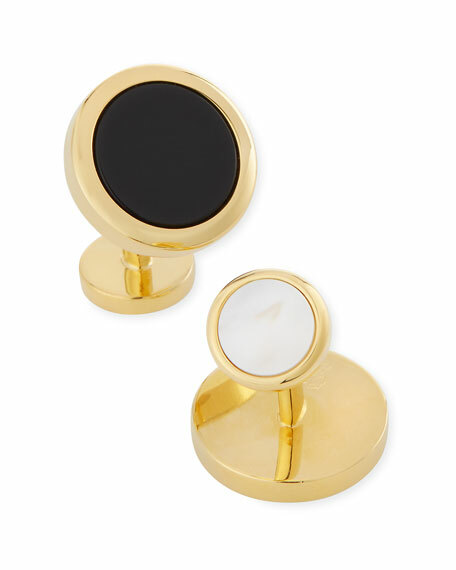 Double-sided studs can be worn showing onyx or mother-of-pearl. Cuff links, 0.8" diameter; studs, 0.4" diameter.